Perfect for the light tourist traveler. 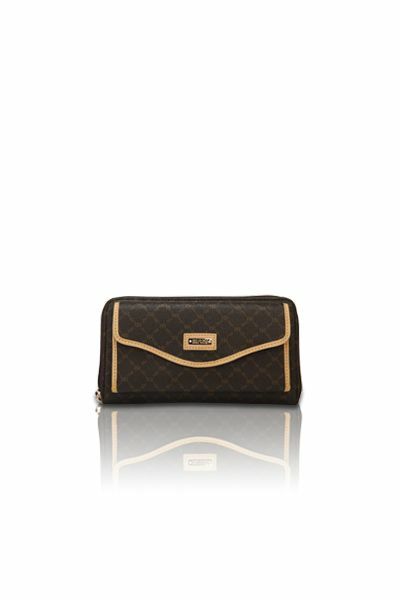 Gentle dark gold ''RR'' RIONI monogram print on solid brown designer canvas body accented with leather trimmings and adjustable straps. Front pocket with magnetic closure and leather RIONI imprint. Back sleeve pocket for additional room. Top zip closure opens to side zipper pocket and a cell phone holder pouch. 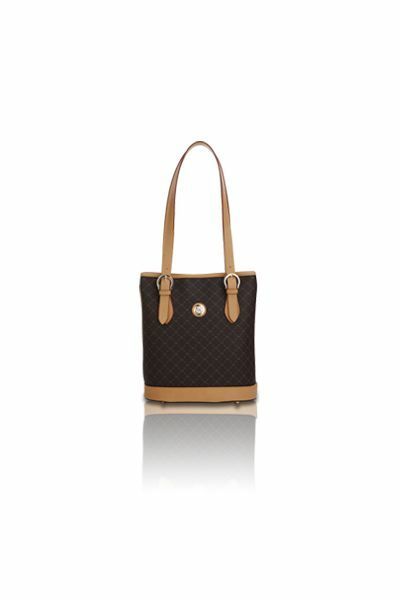 Interior coffee brown fabric RIONI monogram print lining with leather tassel key holder. L7.5 x W3 x H8"
Product: Galina's Mini Tourist was added to cart.